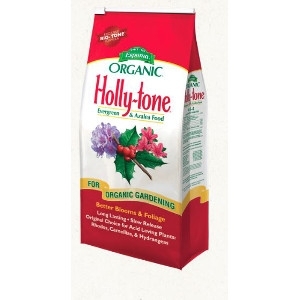 The Original Natural & Organic fertilizer for all acid-loving plants. The #1 choice for feeding hollies, azaleas, camellias, evergreens, dogwoods, rhododendrons & more! Get more blooms with more vibrant color. Grow larger plants with deeper green color. Long lasting, slow-release feeding with our exclusive Bio-tone Microbes.